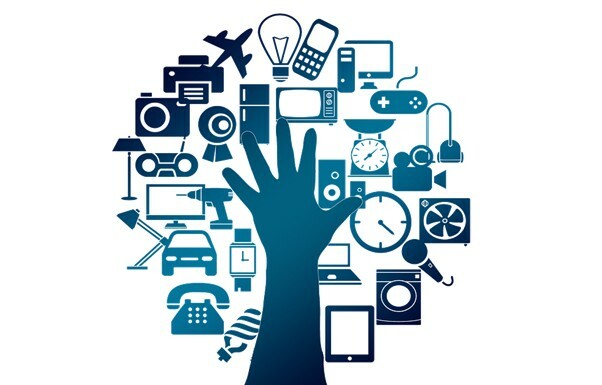 The Internet of Things is here to stay as a range of connected devices become mainstream in our work and business lives. According to forecasts from Gartner, this year will end with around 8.4 billion connected things in use worldwide, a number that will grow to around 20.4 billion by 2020. 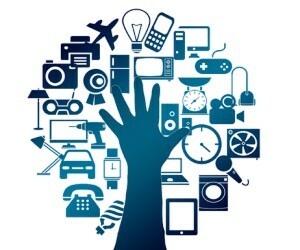 Yet the concept of the Internet of Things (IoT) remains misunderstood. The technology industry is on a drive to connect everything from electric toothbrushes to heavy factory machinery to the Internet. Many senior executives are thinking about it as a new technology or platform rather than what it really is - a way to completely change businesses and its processes. Many IoT projects fall short of the mark in helping companies to drastically improve their business processes. As was the case with mobile - success in the Internet of Things will come from understanding how it will reshape consumer and employee behaviour and how it can be used to transform businesses’ operations and operating models. The hard part is not transforming processes through technology, but transforming the organisation and its culture. The future will belong to the organisations who are better at embedding the technology in business processes to drive radical improvements, and who do this not just once, but over and over again. The IoT isn’t a simple technology project - ‘implementing the Internet of Things’ isn’t a viable or interesting goal in itself. The IoT is a value creation tool, a way to transform the customer experience and reinvent business processes for the digital age. To make the most of its potential, the business’s senior leadership should drive the IoT strategy and consider how it can enable new business models, underpin innovation and bring massive improvements to efficiency and productivity. The greatest digital opportunities across Africa reside in customer experience, business operations and business modelling. Business leaders should look at how connected sensors and devices, and the reams of data they produce, can be put to use to lift competitiveness by reinventing business processes. The IoT is a complex interconnected network of related parts that sense context, transfer data, process information and initiate action. Data streams originating from all sorts of sensors built into a wide variety of “things” (e.g., machines, cars, mobile and immobile goods, clothes, or even human beings) enable companies to create all sorts of innovative processes, services and products. The real magic comes from using machine learning to put that data to work. Smart algorithms and AI can be applied to data collected at scale to find patterns, trends and indicators the human eye might miss. Using predictive maintenance for technical infrastructure in cities, factories, plants and others to improve reliability of machinery while reducing maintenance costs. Leveraging traffic data from many different sources including smart city data from traffic lights, streets, or other vehicles to optimise the management of corporate and government vehicle fleets. In fact, Uber already uses smart data to match drivers to passengers and find the smartest routes for its riders. Creating innovative consumer offerings, such as Amazon-style dash buttons to supply customers automatically and predictively with goods and services. Providing medical care services, for example using wearables and even (in future) ingestible sensors, to monitor elderly people living alone at home. Looking to the future, the IoT promises to change the way industries work as much as the invention of the assembly line, just-in-time manufacturing or the creation of the Internet itself. Picture a world where a customer places an order for a running shoe on an e-commerce site, uploading video footage of the manner in which he walks and a scan of his foot. From there, a tailored running shoe is manufactured at a nearby facility using a 3D printer - with components shipped from other facilities as needed - and delivered to the customer’s home in the evening. From sales to logistics to manufacturing, a network of sensors works towards getting a personalised product in the customer’s hands with as little friction and as much speed as possible. In the background, big data analytics and advanced artificial intelligence will be used to make sense of the flood of data from the IoT. This could be all about some business gains, such as reducing stock held in warehouses to free up working capital or vastly reducing the costs of managing complex machinery. It will also enable various “as a service” business models, where everything from car insurance to shoes can be customised to customer needs. The leaders in digital transformation will master the ability to build, deliver and repeat innovations based on the IoT better than their competitors. But to get it right, they will need business leaders who understand the role the IoT can play from a business outcome perspective.